Twitter wants to make its short-form social network the premier place for advertisers, brands and developers to market their products. To that end, the company today introduced a new tweet format that includes a prominent app download link. It’s currently being tested in private beta and gives Twitter advertisers a new way to encourage downloads across different mobile app marketplaces. Twitter says the new feature leverages both Promoted Tweets and Twitter Cards to show these promotions as a “rich, native ad unit.” Spotify, HotelTonight, Kabam, and Deezer have been testing the tool as early beta partners and Twitter, not surprisingly, claims they’ve all had “promising results” so far. Futhermore, advertisers can now set up campaigns on ads.twitter.com to run across the entire Twitter Publisher Network. For now it’s only available to US advertisers in private beta, and gives them the ability to easily market their products across “the thousands of apps and over 1 billion monthly devices” covered by the MoPub ad exchange. “Advertising campaigns run across the Twitter Publisher Network are automatically translated into programmatic bids on the MoPub exchange, on a level playing field with MoPub’s existing DSP partners,” the company explained. Twitter acquired MoPub, the world’s largest mobile advertising exchange, in September last year. 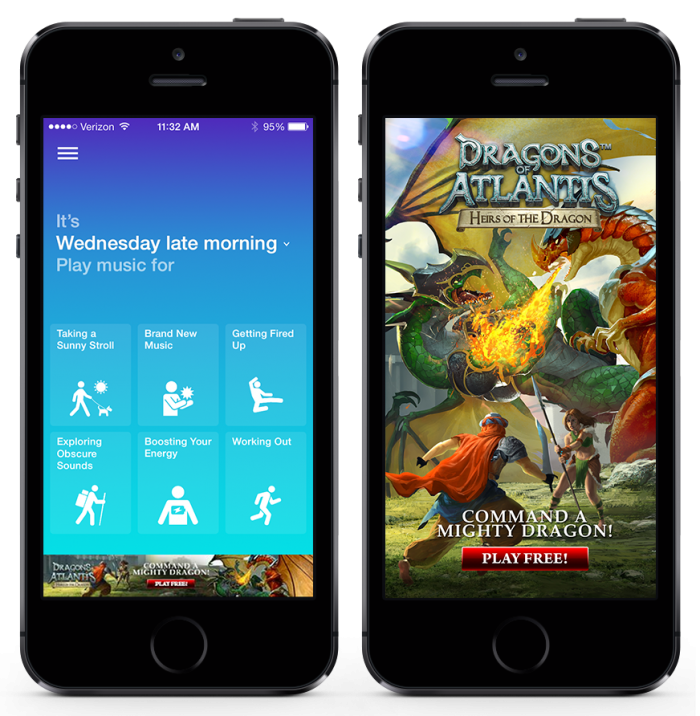 Both features are designed to generate revenue from mobile app publishers and developers. A clear download link makes Twitter a powerful advertising platform and reduces the amount of friction for potential customers. The MoPub integration with ads.twitter.com, meanwhile, will encourage marketers to use the latter as the premier place for organising and managing campaigns. 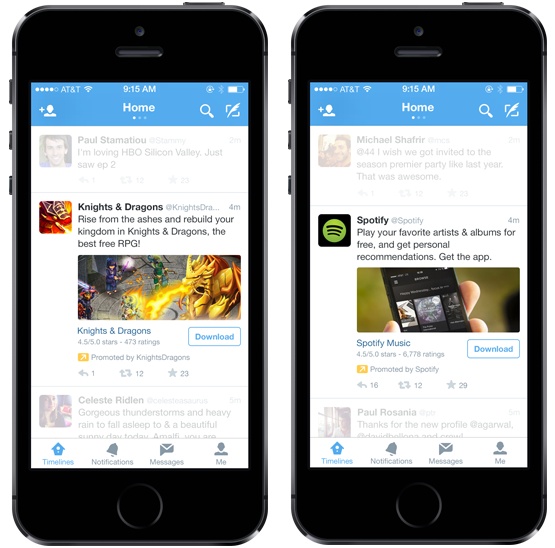 By bringing both on-Twitter app promotions and off-Twitter advertising to the same site, the company is reinforcing its prowess and potential as an important marketing conduit.